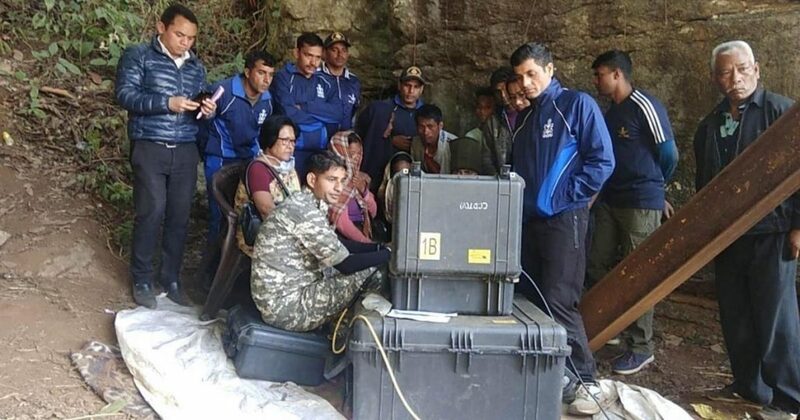 The Indian Navy has lost track of the disintegrating body of a miner, among at least 15 who are feared dead, while trying to pull it out from the coal mine in East Jaintia Hills district of Meghalaya. A remote operated underwater vehicle (ROV) lost its grip on the body on Tuesday evening and it could not be detected despite efforts on Wednesday, reports The Indian Express. Earlier, the skull, wrists and leg had disintegrated during initial attempts to retrieve the body which was mentioned in a report by the state government submitted to the Supreme Court earlier this week. At least 15 workers were trapped and are feared dead inside the mine in Ksan area on December 13 – and rescue operations have since been on. Illegal rat-hole mining has continued to thrive in Meghalaya despite a ban imposed in 2014 by the National Green Tribunal (NGT). Last week, a body was detected inside the coal mine – at a depth of 160 feet and at a lateral distance of 210 feet into the rat-hole tunnel – with the help of footage from a Navy-operated ROV. In the status report submitted to the apex court on Monday, the state government also said that the bodies of at least 14 other miners are ‘presumably’ behind this disintegrating body detected on January 16.